The early railway companies went to great lengths to give themselves status and authority. This was partly to reassure investors and the travelling public alike since both were initially sceptical of railways and railway travel. Th achieve the desired effect, companies often used heraldic devices on their coats of arms and seals, even though few were officially entitled to use them. The company armorial device appears on small items such as badges and buttons, headed notepaper and publications through to ornate ironwork supporting platform canopies and stonework at major stations. But to the collector one of the favoured items is a genuine railway company armorial transfer, usually attractively mounted on a wooden plaque or backing. Transfers were introduced in the 1850s by Tearne and Sons Ltd of Birmingham, offering the emerging railway companies an easy method of branding their rolling stock. 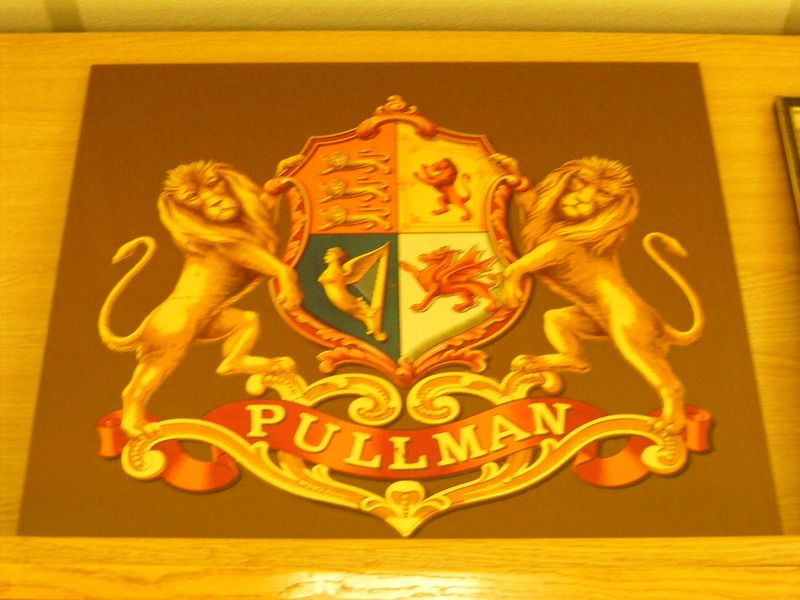 Soon locomotives and carriages were suitably embellished with the grand coat of arms belonging to the parent company. The railway companies took liberties when it came to the heraldic devices they chose to use. For example the London & North Western Railway (LNER) made free use of the national symbol Britannia. Although railway companies had consulted the College of Arms about the design of their coats of arms, it was not until 1898 that arms were officially granted. This was awarded to the Great Central Railway, formerly the Manchester, Sheffield and Lincolnshire. After the Great Central’s achievement only four other transport companies were awarded armorial devices – the London & North Eastern Railway (LNER), the Southern Railway (SR), the British Transport Commission and the Ulster Transport Authority. British Railways’ full armorial bearings included a crest (beneath a ‘Forward’ scroll) of a demi-lion on its hind legs clutching a wheel between its paws, while two further lions held the shield. The three wheels at the top railways, a portcullis and chains stood for ports and harbours, and straight and wavy lines represented road, rail and waterways. Below this was a further scroll ‘Velociter securiter‘: swift and sure. 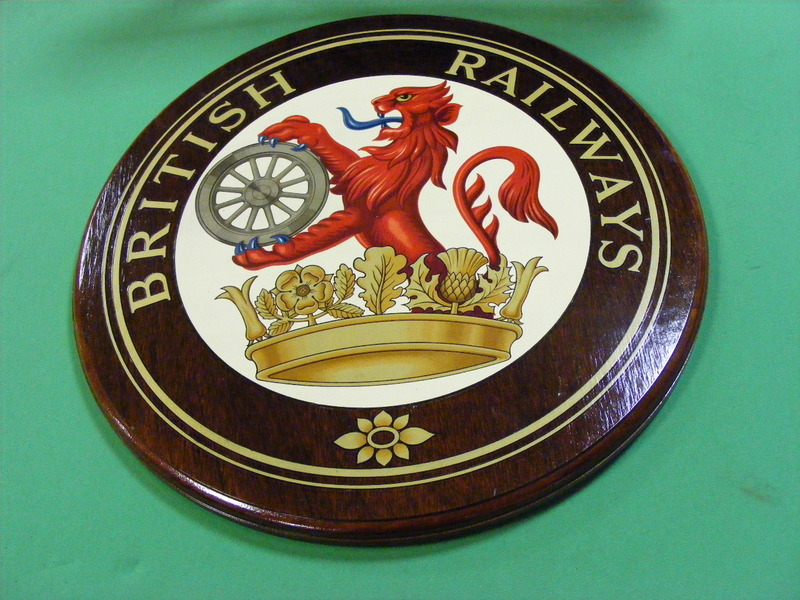 The crest, replacing an earlier ‘lion and wheel’ device (also known as ‘ferret and dartboard’) was adapted by BR for use as a transfer on carriages and locomotives. This design survived until the introduction of the BR twin arrows emblem. Chrome finished BR crests used on some 1960s electrics are popular. 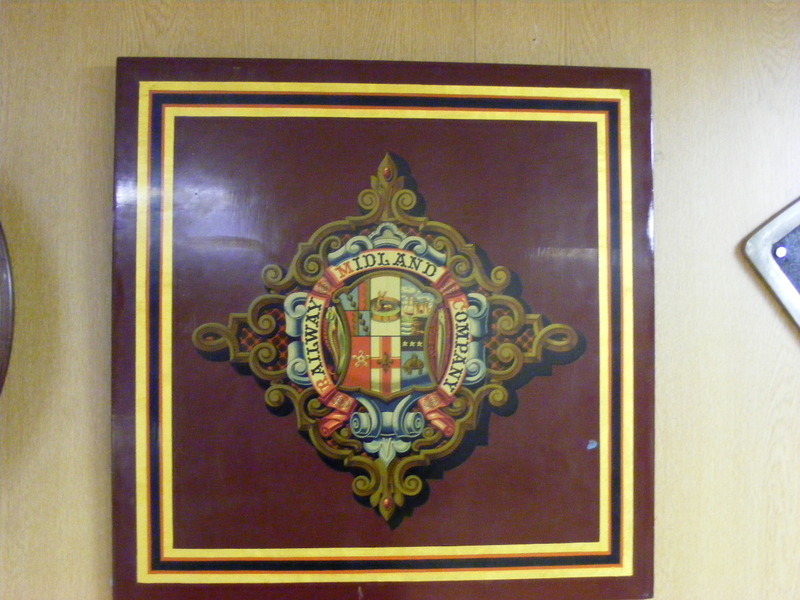 This entry was posted in Museum Collection and tagged British Railways, Chasewater, Chasewater Railway Museum, Coats of Arms, Lichfield, Midland Railway Company, Museum, Pullman, Staffordshire. Bookmark the permalink.